Edward is on the left, William on the right. 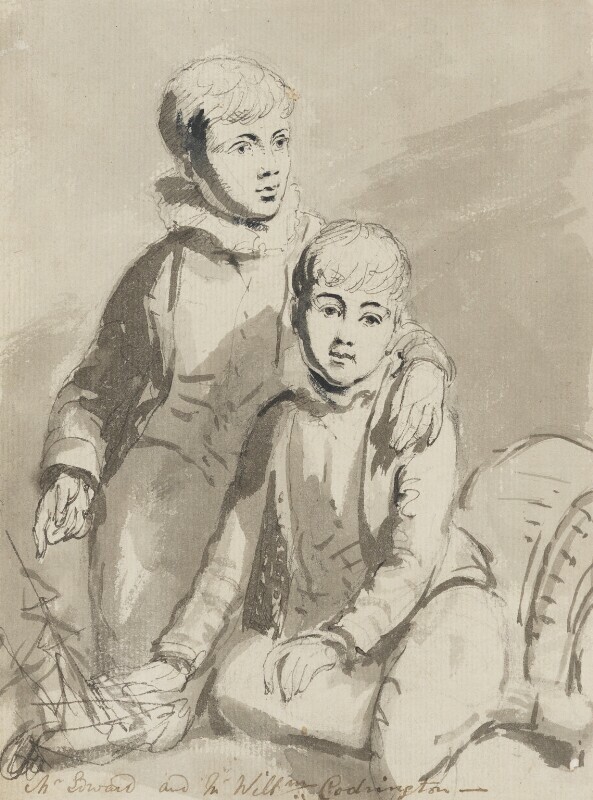 The date is based on the apparent ages of the two boys. This sketch is almost certainly a study for a miniature, whose present location is not known. A. D. Hogarth & Sons, purchased from them, 1891.